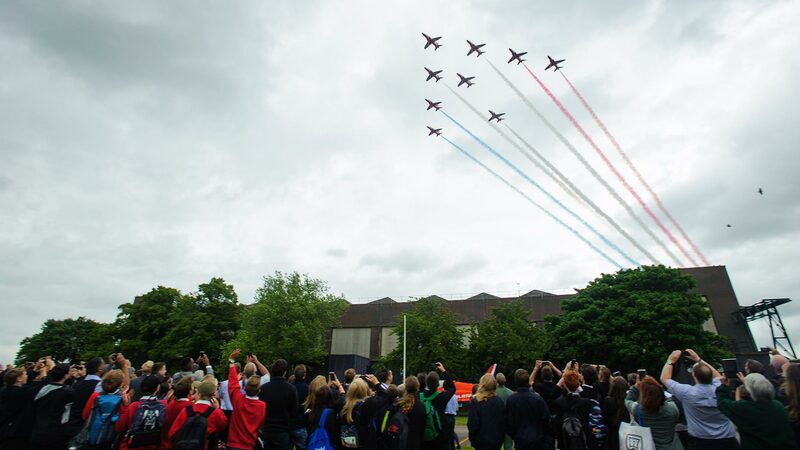 Many of Britain’s most illustrious firms joined forces with the RAF Red Arrows at a special event to inspire future generations of engineers in Lincolnshire. The Red STEM day built on the success on the inaugural Science, Technology, Engineering and Maths (STEM) event in September 2014, attracting even more pupils and businesses. Various interactive exhibits, including the 1000mph Bloodhound supersonic land racer and a Mercedes Formula 1 car, were on display for the 300 pupils who attended from schools across the county. 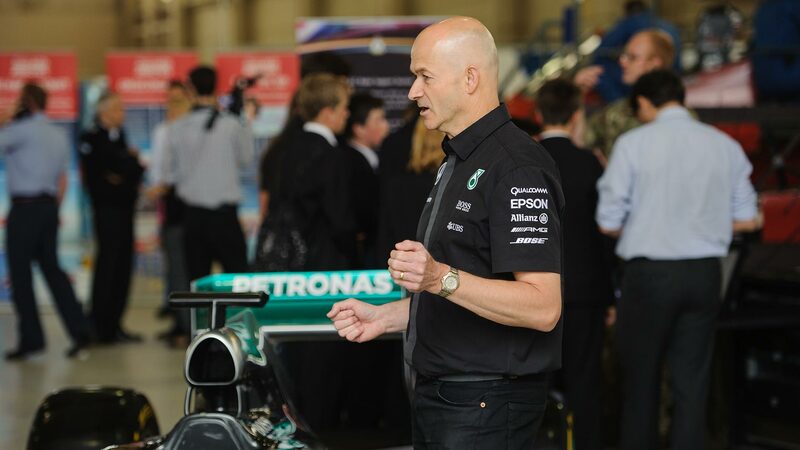 World-renowned companies such as Siemens, Rolls Royce and Aston Martin were also on hand to give students a flavour of future career paths available by studying STEM subjects. Students had the opportunity to get to grips with simulators and other high-tech creations, meeting robots and industry professionals, and completing exciting challenges. 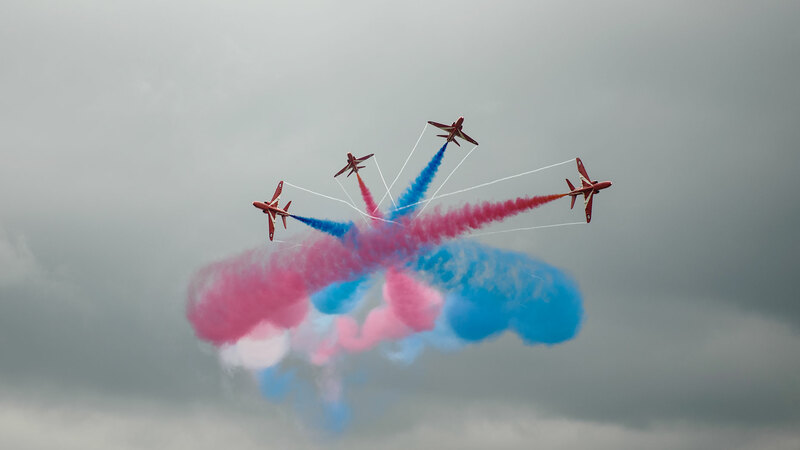 The event was organised by the Red Arrows in partnership with The Education Business Partnership (EBP), with the aerobatic display team treating pupils to a spectacular fly-past over the skies of RAF Scampton. 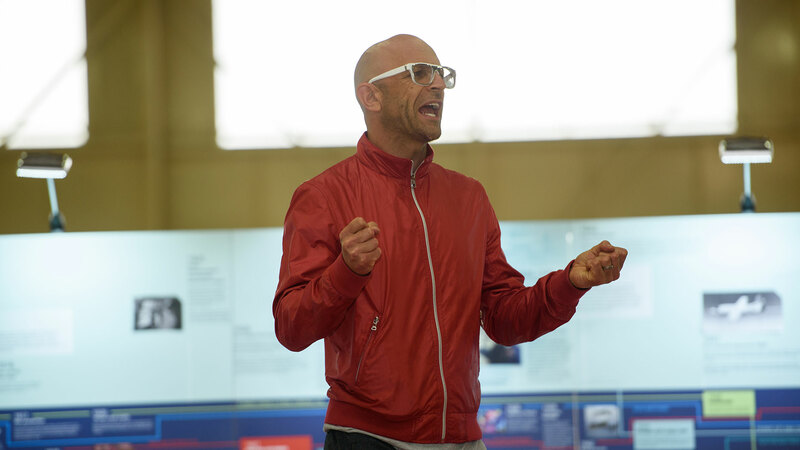 Gadget Show host and visiting lecturer at the University of Lincoln Jason Bradbury returned to the event after attending last year. He said: “It’s such an extraordinary opportunity to be let inside this austere RAF place. As a Yellowbelly I used to watch above my head at school in Tattershall the Red Arrows and now I get to shake hands with the pilots and look at the aircraft.